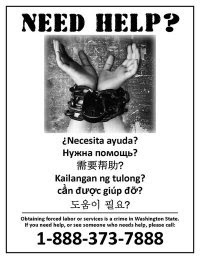 We have a great opportunity to put up flyers along the I-5 corridor by contacting gas stations for their permission to put up HELP flyers giving phone numbers as a resource for people being trafficked. With the 2010 Olympics starting in Canada in February we want to canvas the area as soon as possible so here are the details. Thanks for wanting to SAVE A LIFE. New Freedom Stones Website is UP!